Oxford College of First Aid is a well-established and highly respected organisation providing a wide range of approved First Aid and Health and Safety related courses to individuals and organisations across the country. Our goal is to keep you up to date with the latest developments in Health and Safety that may affect your business and we will also publish useful hints and tips, interesting stories and feature the occasional competition with prizes. Many of our courses are tailored and presented in-house for specific companies, so if we can help you, please email us at info@ocfa.co.uk or call us on 01235 810619. We were disappointed that the private members bill about giving first aid training to children as part of the National Curriculum was denied a second reading last month by filibustering MPs. These MPs blocked the bill's progress by deliberately talking non-stop to ensure that the allocated time to discuss and vote on this bill ran out. In other countries, children are successfully taught first aid and, given that the point of this bill was to help save more lives, we would have hoped that it could at least have been allowed to reach the Committee stage for proper scrutineering. OCFA are really heartened and delighted that MORE schools are sending their staff to us for professional First Aid courses than ever before. The next OCFA First Aid for School Staff course is on 15th December 2015. We can also tailor these courses and present them "in-house" for your organisation so, if this would suit you better, please email us at info@ocfa.co.uk or call us on 01235 810619. In September 2015, a well-known international car manufacturer was sentenced for safety breaches discovered during an investigation into a death of a worker at one of its UK plants. As part of its investigation into the incident, the Health and Safety Executive (HSE) found the company had failed in its duty to undertake a suitable risk assessment of the risks to its employees were exposed to in relation to a related aspect of the working process. Fines and costs levied totalled £50,000 but the damage to the deceased's co-workers in terms of their morale and the fall in the company's reputation are incalculable. As a Chartered Institute of Environmental Health (CIEH) Training Centre, OCFA offers all levels of accredited Health and Safety training courses covering all aspects of Health and Safety from Risk Assessment to Manual Handling etc. We also work extensively with the construction industry and other high hazard sectors and urge our clients and potential clients to ensure that they are adequately covered in all areas of risk assessment. As you will not doubt already be aware, fines from the HSE are the least of your worries. A high profile accident combined with negligence can sometimes be all it takes to close down a business forever! To find out more about how OCFA can help you comply with the HSE, please have a look at the Health and Safety section on our Courses Page. For more information, please email us at info@ocfa.co.uk or call us on 01235 810619. I enjoyed the first aid course very much. I feel it's such an important skill for people to have and I am very grateful to Dawn Bird, our trainer - she was amazing! Now we are well into Christmas Party season, it is likely that a few people may slightly misjudge the occasion and consume more alcohol than is wise. Alcohol depresses the activity of the central nervous system and the brain. Excessive intake can severely impair all physical and mental functions and the person may sink into deep unconsciousness. An unconscious casualty may choke on vomit, lose heat and contract hypothermia. There may be another underlying cause of the unconsciousness - such as a head injury, heart-attack or hypoglycaemia. 1. Cover the casualty with a blanket to protect him/her from the cold. 2. Assess the casualty for any injuries especially head injuries or other medical conditions. 3. Monitor and record vital signs - response, pulse and breathing - until casualty recovers or is placed in the care of responsible person. If you're in any doubt about the casualty's condition call 999/112 for emergency help. For more information, see www.ocfa.co.uk or contact Jane Hoskin on 01235 810619. 1) How Kay Embra saved her neighbour's life after receiving training from OCFA. 2) Dian Slay talks about a recent delegate saving two lives after attending our OCFA course! Click on the radios above to hear these amazing stories from BBC Radio Oxford. Congratulations to Valerie Loughry, SHE Advisor, from Diamond Light Source Ltd, who correctly answered that, in the UK, the start of Chinese New Year will be celebrated on Monday February 8th 2016. Valerie wins a £40 voucher for a meal for two at Cockadoo Restaurant and Wine Bar in Nuneham Courtenay. This month we have a £40 voucher for the fabulous Biztro Restaurant in Bampton. "Which country traditionally donates London's Trafalgar Square Christmas Tree as a gift?" Email your answer and contact details to Jane at: info@ocfa.co.uk and we'll draw one lucky winner from the correct answers on Friday 18th December 2015. This offer is for the new Zoll AED Plus defibrillator WITH full training for 8 people. Oxford College of First Aid is a well-established and highly respected organisation providing a wide range of approved First Aid and Health and Safety related courses to individuals and organisations across the country. The College is an accredited centre of the Chartered Institute of Environmental Health and employs some of the best trainers in the industry. In addition to the courses outlined on our website, our trainers also design bespoke courses to meet your specific requirements. 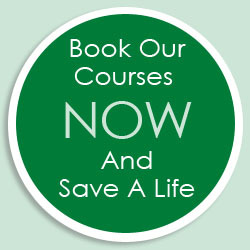 Licensed by the Health and Safety Executive, our extensive selection of courses can also be held at your own premises. Our highly qualified trainers, flexible approach and extremely competitive prices make us one of the principal providers of Health and Safety training across the country. All offers made in these newsletters are subject to our terms and conditions.